1908 Evening Post, 2 Oct: Mr. L. J. Clark, who has resigned the secretaryship of the Wellington Christion Endeavour Union in order to give more attention to the Taranaki-street Junior Endeavour Society, of which he is leader, was presented last evening with a roller-top desk as a mark of the union's appreciation of his seven-years' services. 1913: Evening Post, 22 April: FAREWELL TO MR. AND MRS. L. J. CLARK - A representative gathering of the members of Taranaki-street Methodist Church assembled in Wesley Hall last evening to entertain and bid farewell to Mr. and Mrs. Leonard J. Clark, who are leaving the Dominion for Sydney this week, Mr. Clark having received the appointment to a responsible position in the Singer Company's head office in Sydney. Mr. Clark has been very closely identified with the Church, and has filled its most important official positions during the past sixteen years. Rev. S. G. Chapman, and Messrs Bennett, Cooper, and Brabin, representing various sections of Church work, spoke in eulogistic terms of Mr. and Mrs. Clark's services, and wished them God-speed. Mr. E. Kellow, on behalf of the circuit, presented Mr. Clark with a valuable gold chain and pendant, and Mrs. Clark with a gold wrist watch. Mr. Brabin, on behalf of the Endeavour Society, gave Mr. Clark a travelling rug. Mr. Clark suitably responded. Musical and other items were given during the evening. 1913 Evening Post, 26 April: Mr. L. J. Clark, late manager to tho Singer Sewing Machine Company, Wellington, has been appointed auditor to the company in Australia and left by the "Ulimaroa" yesterday. Mr. Clark has been in the employ of the company for the past 14 years, and the New Zealand staff yesterday presented him with a handsome dressing-case. He may have been involved with the company that Wilfred a Silk Merchant, formed in Australia. After returning to NZ, He lived in Haitaitai or Kilbirnie, Wellington and became manager of a small string of shops around NZ selling Singer Sewing Machines - this involved quite a lot of travel, visiting these shops. 1937 Evening Post, 17 Aug: FUNERAL: CLARK.—The Friends of the late Leonard John Clark are invited to attend his Funeral, which will leave the Wesley Church, Taranaki Street, Tomorrow (Wednesday), August I8, 1937. for the Karort Cemetery, after service, which, commences at 2 p.m. Robert R. Wilson and' Sons, Ltd., Funeral Directors. Death Notice - Dominion - 18th Aug 1937 -CLARK, on August 17th 1937 at Wellington, Leonard John, dearly loved husband of Margaret Louisa Clark of 20 Maidavale Road, Roseneath, and father of Elsie and Tom. Funeral Notice: The friends of the late Leonard John Clark are invited to attend his funeral which will leave the Wesley Church, Taranaki Street today (Wednesday) August 18, 1937 for the Karori Cemetery after service which commences at 2 pm. Headstone: ILMO Leonard John bho Margaret Clark died 17 August 1937 aged 58. Until the day break. Their children are JOHN and Judy BURTON. 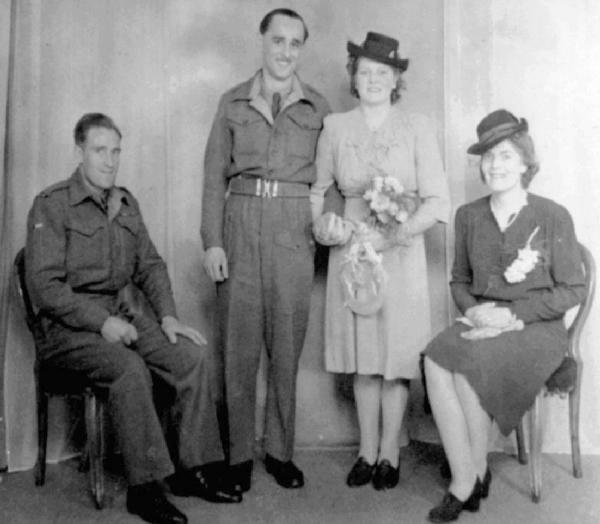 Mar: 7th Sept 1943 at Wesley Church, Taranaki Street, Wellington between Thomas Burton CLARK, 25, Bank Clerk, Bachelor, b: Sydney, NSW, residence Wtgn, parents Leonard John CLARK, Company Manager, and Margaret Louisa nee WILKINS and Earle Lynette PARIS, 24, Spinster, b: Dunedin, residence Wellington, parents Percy Reginald PARIS, Methodist Minister of Religion, and Violet Rosetta nee CLARK. Witnesses: Athlone Lorraine Paris, Civil Servant, Wtgn and Eric Charles Hale, Civil Servant, Wtgn.